Mr. Ed Macaraeg thanks LifeNets again for another year of participation and support for the United Youth Camp that is held in May. The report below follows. LifeNets had donated $1500 towards equipment. Mr. Macaraeg was able to bring back Lightwave LED flashlights donated through Chris and Angela Moen that proved very useful for the camp, especially on the hike up Mt. Apo. "Please give our heartfelt thanks for the benevolent and helpful donation of LED flashlights which was obtained during the recent GCE. They have been very useful during the recent United Youth Camp in the Philippines, and also during the recent climb to the Philippines' highest peak -- Mt. Apo. Our thanks also includes the donation of LifeNets again this year, which included additional mountain bikes, inline skates, radio communications set, etc." Below are some pictures of the recently concluded United Youth Camp on May 18-25 and an extension on May 26-29. 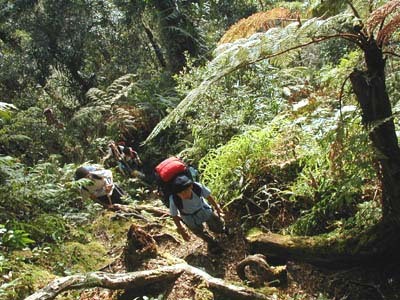 The first week was the camp proper at Eden Nature Park in Mount Talomo, Davao City while the second week was the challenging climb to highest peak in the Philippines at Mount Apo, Kidapawan City. 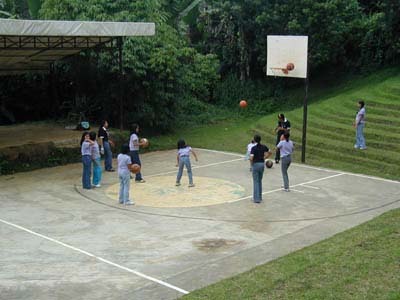 Dorm 1G makes their shots during Basketball activity. 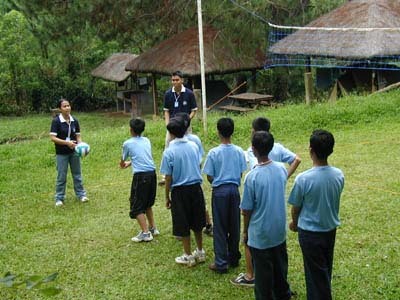 Dorm 2B learns the basics in Volleyball. 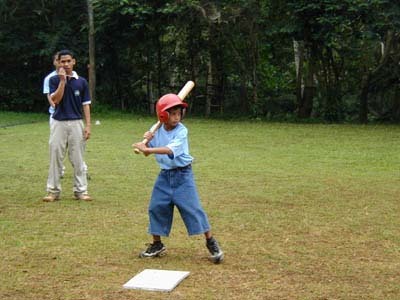 Rex Hart Valdez aims for the ball during Softball activity. 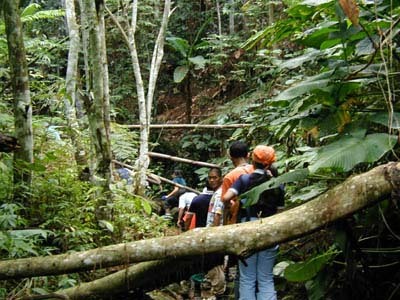 Campers negotiate a riverbed during Wilderness Adventure. Eriz Dizon during Christian Living class with Dorm 1B. 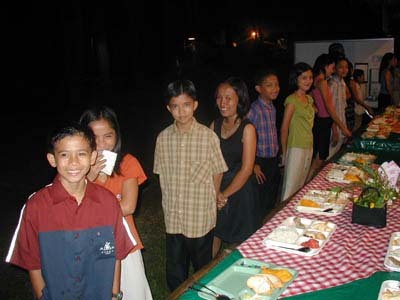 Dorm 1B campers look their best during the Sabbath dinner with their sister dorm. 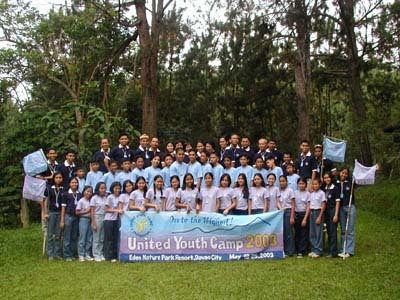 A group shot of all the campers and staff of UYC 2003. 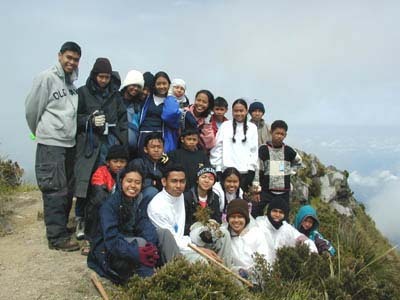 A contingent of 15 campers and 13 staff members plus one guest climber prepares for a whole-day hike after an overnight campout at Agco, Kidapawan. 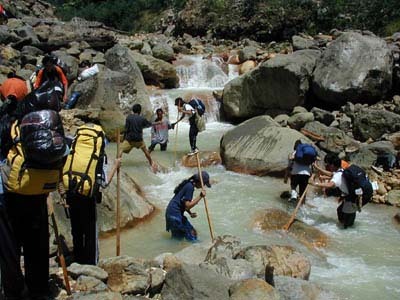 Campers brave the Marbel River during their first-day hike. 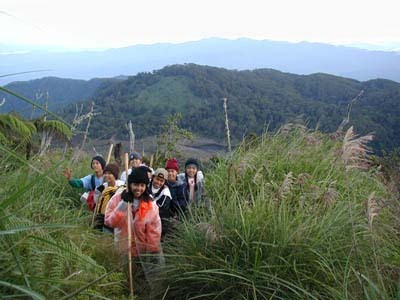 Climbing Mount Apo proves to be challenging when the slopes get steeper. 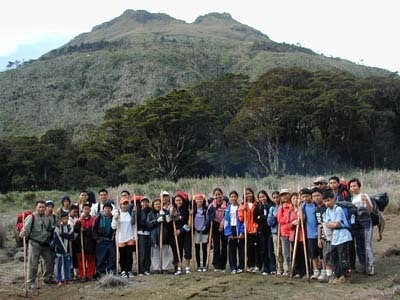 Campers pose during the second-day ascent to the peak overlooking the camp site at Lake Venado. 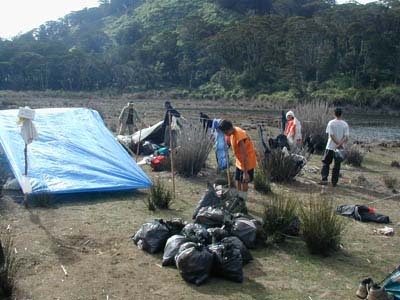 Back at Camp Venado, campers pile up bags of garbage they collected in the area to be brought down as part of the ecological effort to clean-up Mount Apo. 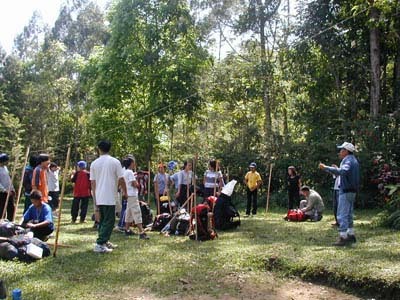 The 29-member contingent poses at Camp Venado (overlooking the highest peak to the right) as they prepare their final descent on the third day.